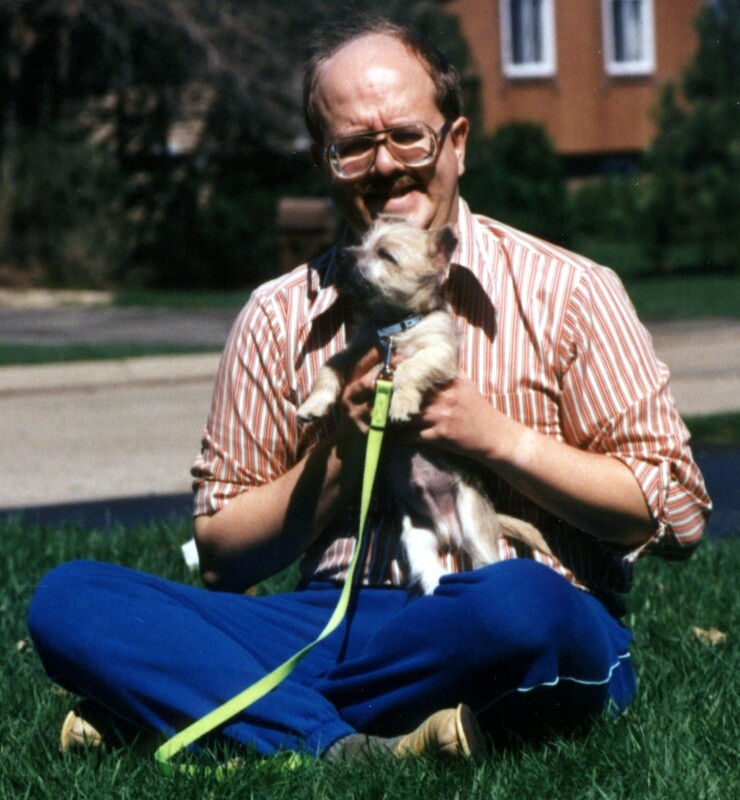 This blog post from Paul Ebeling discusses the link between lawn chemicals and cancer in dogs. I recommend you read it if you use lawn chemicals on your lawns or if you take your dog any place where such chemicals are in use. Many states require that commercial applicators post notices that such chemicals have been used; however, in many cases if a property owner applies these chemicals themselves, they may not be required to post a warning. Just be cause a lawn has not been posted does not mean it is free of chemicals or is safe. 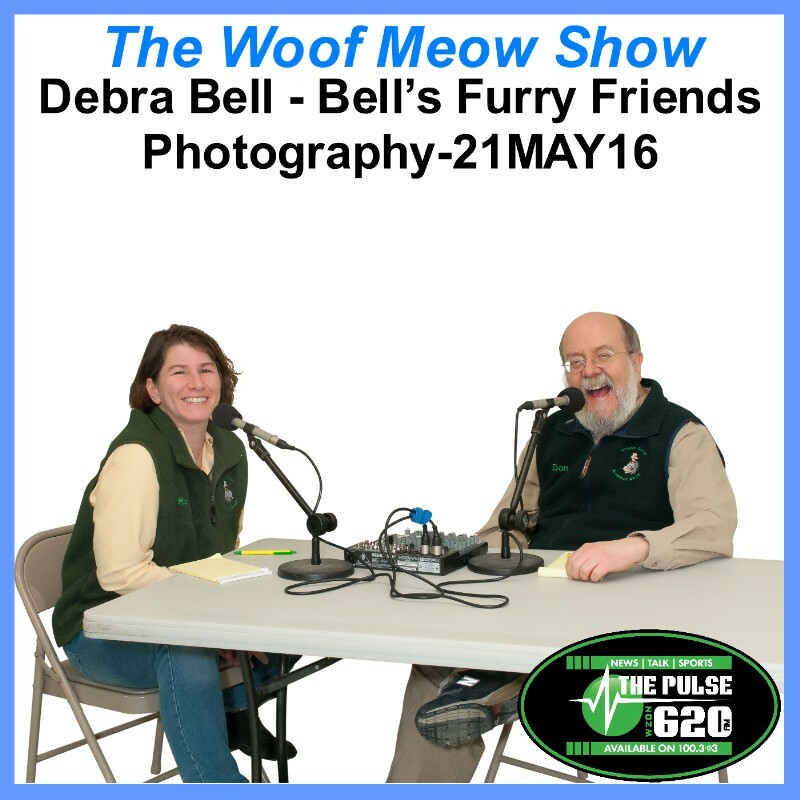 Kate and Don interview Debra Bell from Bell’s Furry Friends Photography, discussing how Deb came to specialize in the photography of people and their pets. Deb describes her unique approach to capturing your pet’s essence for posterity. 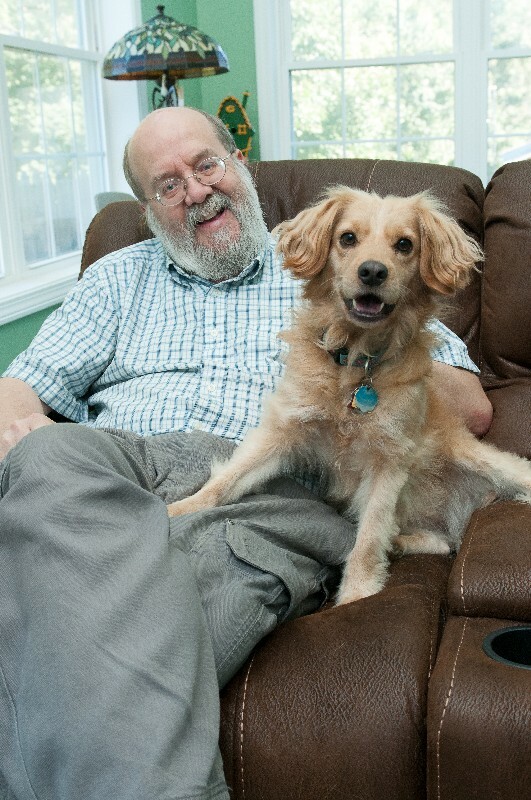 Nicole Wilde – Can Every Dog Be Rehabilitated? In this blog post, Canine Behavior Specialist Nicole Wilde discusses whether or not every dog that is rescued can be successfully rehabilitated. Her answer, and one that I agree with, is no. Aggression cannot always be fixed. It can sometimes be managed, but management is not failsafe and has it’s own risks. It is important to also understand how much these dogs with severe behavioral issues may be suffering. Sadly, some rescues and shelters seem to feel that every dog can be rehabilitated and as a result rehome dangerous dogs. And yes, I have seen this happen in Maine, often with out-of-state rescues. Never adopt a dog without seeing it first and never adopt a dog unless you have the rescue/shelters return policies in writing. Don, Kate and Dr. Dave Cloutier from the Veazie Veterinary Clinic answer listener questions submitted via The Woof Meow Show FaceBook page (https://www.facebook.com/WoofMeowShow/). Questions answered are: 1) Is it a good idea to shave down a dog or cat?, 2) Does one need to worry about sunburn if a pet is shaved down?, 3) When we shave an animal are there cases where there hair does not grow back?, 4) Where do you start when someone thinks they have a dog with food allergies?, and 5) Are seasonal allergies a big thing with dogs?s. This is an abbreviated show due to the live broadcast of the Boston Red Sox game. Go Soxs! Don, Kate and Dr. Dave Cloutier from the Veazie Veterinary Clinic answer listener questions submitted via The Woof Meow Show FaceBook page (https://www.facebook.com/WoofMeowShow/). Questions answered are: 1) Does allowing your dog to have 1 litter have any health benefits to the dog?, 2) Are there any health benefits to letting a cat have a litter?, 3) My Pittie has dermatitis on her earflaps can I supplement her diet with coconut oil to improve her skin?, 4) My 7 year old Yorkie has dry irritated skin. I’ve changed her food to lamb and rice, it is still not helping. Is there something safe to use that isn’t a bunch of chemicals?, 5) Are there metabolic diseases that affect the dogs ability to properly absorb fatty acids?, 6) I have a rescue dog that we got at 10 months he is now a little over a year. He pees all the time. We take him out he pees come back inside and he will pee in the house. I don’t know how to get him to stop. He was abandoned in a house for 3 weeks. 7) I have a 2 year old female unfixed cat who has continued to spray on our stuff. There is no infection of any kind and we have tried everything. We are exasperated and want some answers. Do you have any idea what could be wrong or what we are doing wrong?, and 8) I have a Dane, 2 Bassett hounds and a very old man cat. My younger Bassett 2yrs old, loves to clean up the yard after the cat especially. What can I do to stop this? I try to scoop but with 4 it gets ahead of me sometimes. My first word of advice; “patience.” It is very easy to want the ideal dog immediately, but just as “Rome was not built in a day,” Sawyer and Bella will not be the perfect pups in a week, nor in all likelihood in a month. Training is a process and as such it takes time. Yes, there will times you may become frustrated, but when you look back in a year you will realize it was a precious time for you and your pup, one filled with learning and fun! The following are links to articles on my blog, Words, Woofs and Meows (words-woofs-meows-com). You may find that reading these articles and listening to these podcasts help you prepare for your upcoming Basic Manners class. Housetraining – In support of APDT National Train Your Dog Month Kate and discuss housetraining tips for people with new puppies or for dog owners with older dogs that don’t quite get it. 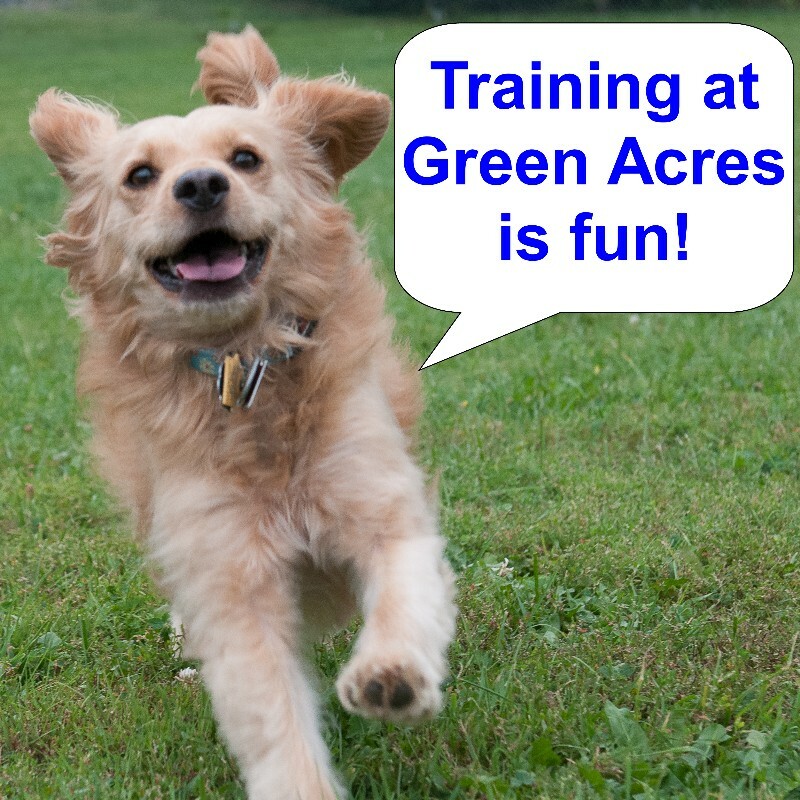 We’ll discuss our proven housetraining program which is also available as a handout on our website – (http://www.greenacreskennel.com/blog/2014/02/16/housetraining/). Canine Behavior – Myths and Facts – Part 1, Where do we get our knowledge about dogs? I recently asked listeners of The Woof Meow Show to email me questions that we could answer on the show. A dog training colleague who listens to the show asked: “What is the one thing you wish every dog owner knew about dogs? My answer was that I wished people knew more about canine behavior, specifically what is factual, and what is not. According to the American Animal Hospital Association’s 2015 AAHA Canine and Feline Behavior Management Guidelines, “Behavioral problems affect more dogs and cats than any other medical condition and are one of the most common causes of euthanasia, relinquishment, or abandonment of pets.” This document posits that mistaken or misinformed beliefs about canine behavior are a major reason for these behavioral problems, This column is the first in a multi-part series where I hope to educate readers and dispel some of these myths. However, first, I think we need to look where we get our information about dogs. Interestingly, society has many misconceptions about dogs and what constitutes normal canine behavior. Many of those misconceptions go back to what we “learned” about dogs as children. For some of us, that goes back to Rin Tin Tin and Lassie. Both dogs were portrayed as canine perfection; however, whether it was a book, movie, or television show or all of the above, it was a marvelous, heart-wrenching piece of fiction. For some, their knowledge of dogs is based on what a family member or friend has told them about their experience with dogs. This is may be someone with no formal training but who will tell you that they have been training dogs since “Pluto was a pup” and know all that they need to know. They often insist that this is the way they have always done it and scoff at doing anything differently for any reason, even if it is easier or offers other benefits. Sadly this approach is also often counter-productive to our relationship with our dog. Today, many people reach their conclusions about canine behavior based on “reality” television which in reality is not very real. The Dog Whisper, broadcast by the National Geographic Channel, involves “self-credentialed” “dog psychologist” Cesar Millan solving serious behavior problems while using force, intimidation, and pain because that is all part of being the pack leader. It is the same misinformation from the two books I’ve mentioned, formulated for television. Because the National Geographic brand has a long standing reputation as being based on solid science, it gives the show an aura of credibility that it does not deserve. Since its inception, it has been challenged by experts in the field of canine behavior. For example, Dr. Nicholas Dodman, a veterinary behaviorist credentialed by the American College of Veterinary Behaviorists and director of the Animal Behavior Clinic at Tufts University said this back in 2006: ”My college thinks it [The Dog Whisperer – Cesar Millan] is a travesty. We’ve written to National Geographic Channel and told them they have put dog training back 20 years.” Yet versions of the show continue to air today. Lastly, there is the internet. I know of very few professionals that do not have mixed feelings about the “Dr. Google” and the misinformation spread via the internet on a daily basis. Sharing information is great when the information is factual and reliable; however erroneous information can be very harmful. And as State Farm Insurance has taught us, just because it is on the internet does not mean it is true. Unfortunately, too many people think otherwise. The fact is, much of what we think we know about dogs, is incorrect. Sadly, this misinformation has done a great deal of harm to the dog – human relationship and the dog’s wellbeing. To repair that damage, in future columns, I will examine the most significant and damaging myths about dogs, and then discuss the facts that counter those myths. The instructors in the first dog training class I attended advocated training that viewed the dog as a wolf. Gus, our Cairn Terrier, was about 12 weeks old our first night in class and had no prior training. I was told to ask Gus to sit and when Gus failed to comply, remember he had never been trained to sit, the instructor told me that Gus was being dominant and that I needed to alpha-roll him. The Monks of New Skete described the alpha wolf roll-over as the ultimate punishment for the most severe disobedience. It involves grabbing the dog by the scruff of their neck, and firmly and rapidly rolling the dog on its back and pinning it while making eye contact and yelling at the dog. In their book the Monks asserted that these disciplinary techniques are what a mother wolf would use in the wild to discipline her pups. Not being a dog trainer at the time, I did what I was told to do and alpha-rolled Gus. Gus reacted immediately, wildly thrashing around, growling and snapping his teeth. It was at this point the instructor told me to grab Gus’ muzzle and hold it closed. This did not sound safe or smart to me, but I believed that the instructor would not tell me to do anything dangerous, so I did what she said. Instantly Gus’s canine teeth pierced the flesh of my palm; I instinctively let him go, and we both pulled away from each other. Gus and I were wary of each other for several weeks. The trust we had built in the few days we had him was destroyed in one senseless act of violence. Years later I learned that by alpha-rolling Gus’ I had probably caused him to fear for his life. How this was supposed to make him understand “sit” means to sit, is still unclear to me. We now know that those professing to treat dogs like wolves really did not understand either species. Sadly, these methods are still popular and recommended by some breeders, dog trainers, and even veterinarians. They are clearly responsible for much of the misinformation about canine behavior. Gus and I eventually reconnected and became pals, but to this day, I regret the damage I caused because I blindly followed the advice of an alleged expert. This week Kate and Don talk with Dr. Mike McCaw from the Veazie Veterinary Clinic about urinary health in cats; one of the top two health issues for our feline friends. We start off with a discussion about Idiopathic Feline Lower Urinary Tract Disease (IFLUTD) a disease which can be fatal to cats in just a few hours. Dr. McCaw guides us through the symptoms, causes, the diagnosis, how it is treated and how you can prevent the disease. We also discuss other urinary issues and end talking about the role of the litterbox.